There are many stories of this 2008 Presidential campaign season: the first election without an incumbent or a vice-president since 1952, the viability of the first female president or the first African-American president, just to name a few. "We're struggling to figure out how to spend the money. This country is in a revolution. They're sick and tired of what they're getting, and I happen to be lucky enough to be part of it." Representative Paul has since broken his own fundraising record, collecting over $6 million in less than 24 hours in mid-December. Although official reports aren't due until January 31st, most analysts agree that Paul likely collected more money than any other Republican candidate in the 4th quarter. Ron Paul, 72, has served Texas in the House of Representatives for 10 terms, from 1978-1984 and was later re-elected in 1996 where he currently represents the 14th Congressional district. A former medical doctor with over 4000 baby deliveries to his credit, according to his Web site, Paul has earned the nickname Dr. No in Congress because he often votes against any bill that he deems to interfere with the free market or that overreaches Constitutional authority of the federal government. 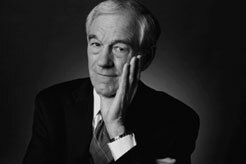 In 2002, before the invasion of Iraq, Congressman Ron Paul (R -TX) appeared on NOW WITH BILL MOYERS and explained why he was not yet convinced that an invasion was necessary and justified. 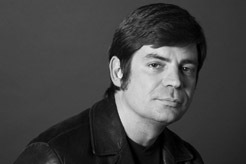 Nick Gillespie, Editor-in-Chief of the libertarian monthly REASON magazine. GOP stalwarts Victor Gold, David Keene, Grover Norquist, Richard A. Viguerie and Cal Thomas on the what makes a Conservative. 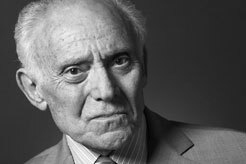 Deputy Press Secretary to Barry Goldwater during the 1964 campaign, Victor Gold discusses where he believes the Republican Party has gone astray in the last twenty years. "At the GOP debate Wednesday night in Florida, Paul was firm in saying he had no intention of leaving the party. 'I have won 10 times as a Republican,' he said. 'We're doing quite well.'" "One of the unlikeliest stories in this city in the last days before tomorrow's caucuses is the young men who have flocked to the long-shot candidacy of Paul." "These fervent supporters and their freewheeling tactics have helped turn Paul into, first, an Internet sensation and, now, this political season's most unlikely phenomenon." "The computer revolution has bred a generation of smart loners, many of them rich and some of them complacently Darwinian, convinced that they don't need society - nor should anyone else. They are going to be an increasingly powerful force in politics." Watch the recent NewsHour conversation with Congressman Paul, watch and read related NewsHour stories, compare the Congressman's fundraising activities with other candidates, and find out more about the candidate. Explore the WASHINGTON POST's Congress Votes Database examining Ron Paul's voting record for his 10 terms as a Texas Congressman. Visit the Web site for REASON Magazine, the Libertarian political magazine edited by Nick Gillespie. Also, explore the recently launched video portal, Reason.tv. The Republican candidate on the race and the media. The Democratic candidate on the race and the media. Get history of presidential debates and then tell us if they matter to you on the blog.